Being a leader in the automotive business , it was only natural that popular took the lead in popularizing the motor sport. 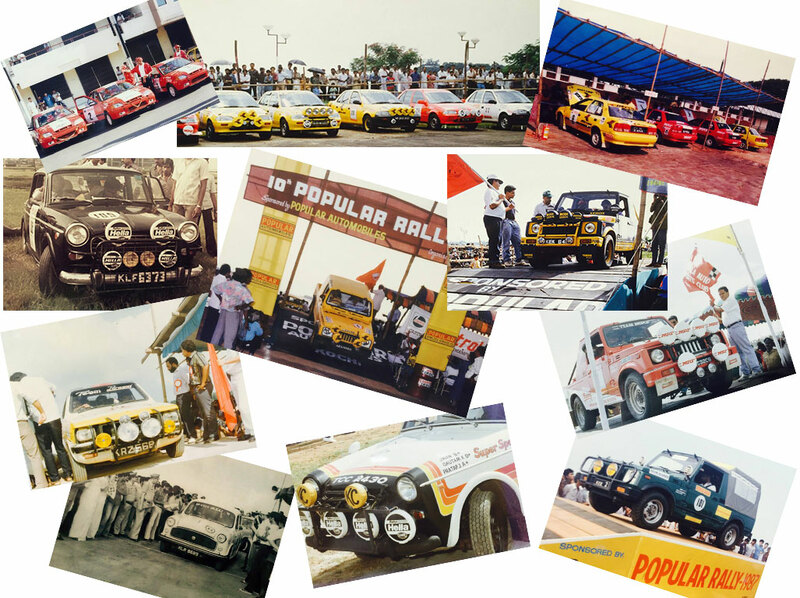 The Popular Rally began as a regional event in the year 1982, it was the start of an adventurous journey through the twisted and rugged surfaces and continued for 16 long years apparently embarking a new automobile Euphoria in Kerala and soon evolved into a leg of the national championship rally in India. For Popular , it is a chance to express the passion for automobiles, albeit a little differently. The Popular Rally, run over 400 kms of scenic and breathtaking routes from Kochi to Munnar and back, over for long 16 years had a special significance to the best of drivers and navigators in the country. A lot of curious followers accompanied the Popular Rally from Kochi to Munnar witnessing the overwhelming joy of the hundreds of local people and many others from different parts of Kerala. Interestingly, it is not just the national status which endeared the competitors to the Popular Rally, If some of them were attracted to it by the adventurous routes that are special to this rally then there were others who fancied the tarmac road which is a characteristic feature of the Popular Rally. Wide and massive media coverage has made this rallying a prime event in Kerala’s history. National Television used to air the event and every print media had carried detailed write ups about the event. Still the thrills of Rally lingers in those who have had it known closer, ever after a long gap of 14 years a lot of them recall and marvel on this event.